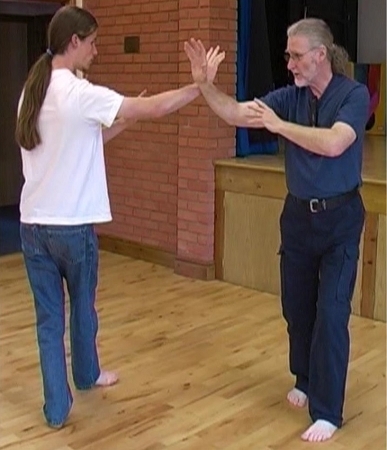 Baguazhang is an amazing fighting system for realistic self defence. It teaches us to react at a reflex level instinctively and sub-consciously, using whatever method is suitable for that type of attack upon you. This is where Erle Montaigue learnt how to fight; the exact methods he used to take his internal arts to that higher level. On this first volume, Erle takes you through the theory behind the way we use Bagua for fighting and how we use abstract training methods to gain a superior self defence method. He also covers the first part of 'Bagua Boxing' training with a partner where we walk the circle touching wrists using pressure launching all types of attacks and using all kinds of defensive methods from the Bagua repertoire. If you want to learn how to really fight, then this is one of the best starting places to begin.